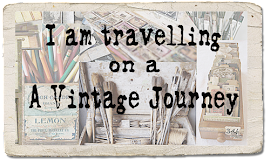 Hello Everyone and welcome to a brand new challenge here at A Vintage Journey. 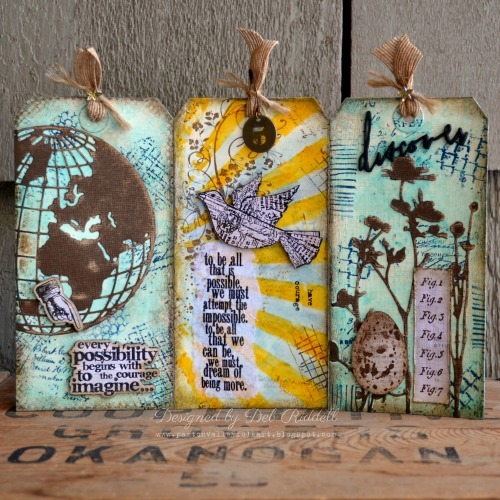 We often use words for card making, scrapbooking, journaling, layering backgrounds, stamping, collage, in mixed media work, on our tags ......... in fact words are often an integral part of our design processes for many of our projects. This month show us words that are important or special to you and how you incorporate them in your vintage; shabby; mixed media; art journaling; industrial or steampunk art. So let's see what the Creative Guides are sharing with you this month to inspire you to take part. 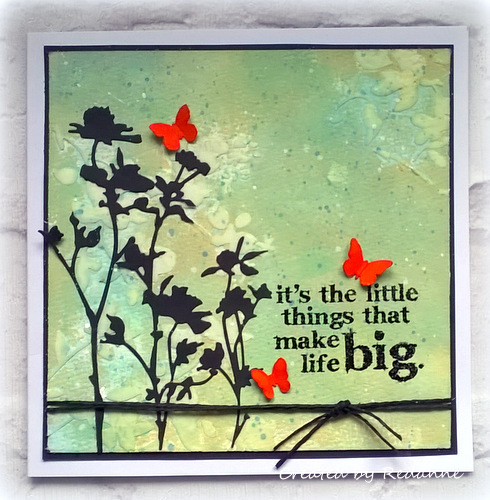 These words were part of a small card which I had beside my bed as a child and have always been very special to me. I decided to incorporate them with some napkins on a small piece of wood. Do hop on over to my blog if you would like to see how I altered this really tatty wood block destined for the wood burner! I opted for the very special words "count your blessings" which I do everyday. I pondered how to incorporate these words into my art when I realised that numbers would work perfectly for this design and so onced again I count my blessings for this creative journey. 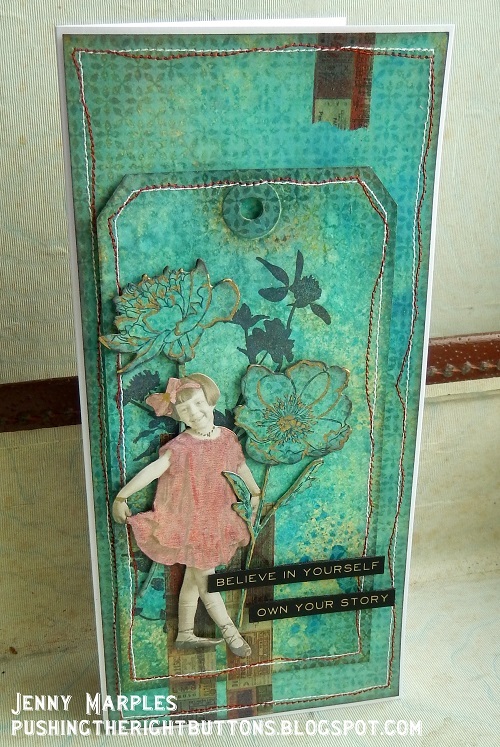 Pop by my blog for all the step by steps. The older I get - the more I value and rely on my Faith to get me through the challenges of life on earth. 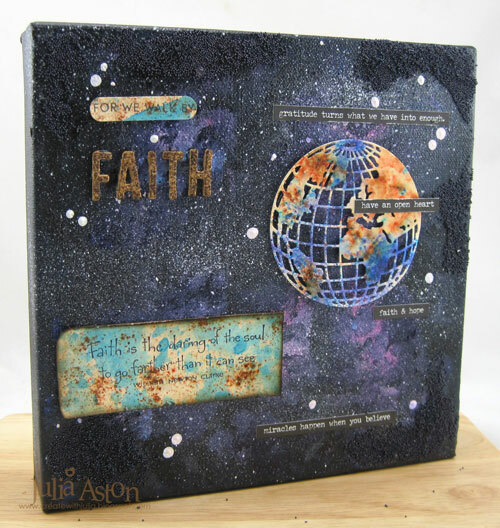 I created an acrylic galaxy background on an 8"x8" canvas and layered on various Faith sentiments using stamps, die cuts and Small Talk stickers to highlight my Words that are Special. Please take a leap of faith over to my blog to see lots of photos on just how I put this together! I love this quote, it is one I go back to time and again, quite simply because it always makes me stop and think how lucky I am! You can see more on my blog. For this project I selected some words I love and then created my design around them. 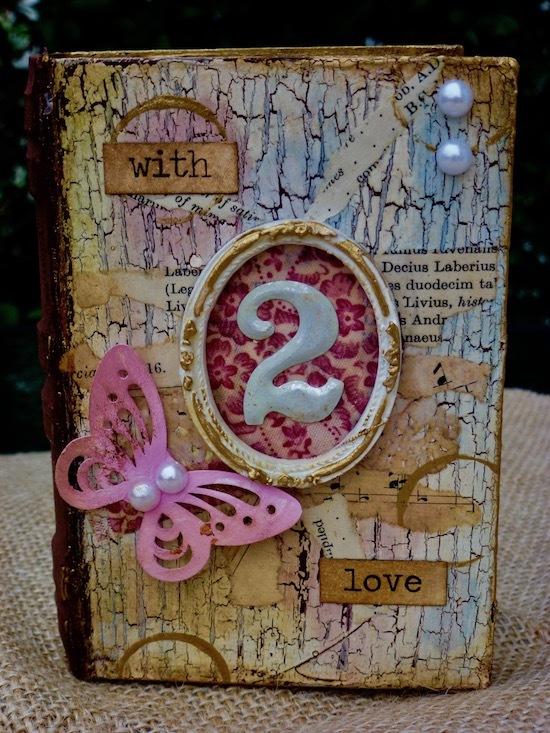 I used PaperArtsy Fresco Acrylic chalk paints and Seth Apter stamps and dies. Be lovely to see you at Addicted to Art for more details. 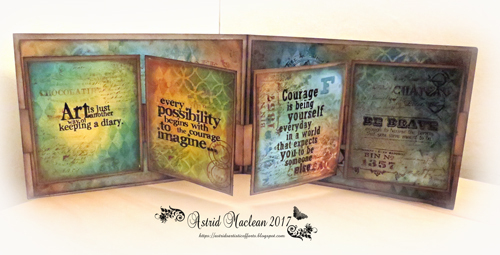 For Jennie's challenge I decided to make a tag triptych featuring three words that never fail to inspire me when I am creating: Imagine, Dream and Discover. Hope you can stop by my blog for a few step out photos and close ups on how I created it. 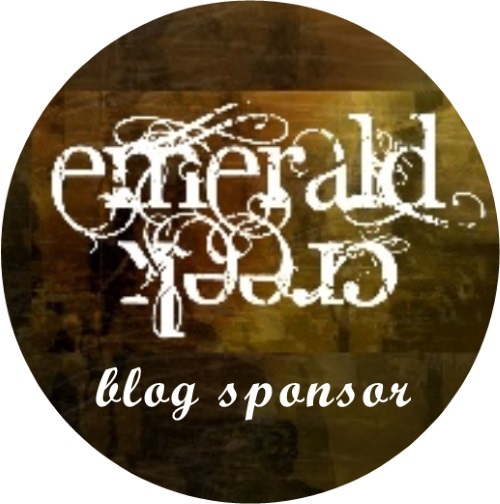 I look forward to visiting your blogs and viewing your entries......Have fun !!!!. Having returned from the trade show in the US with a brand new Distress Oxide pad in my mits the temptation to play proved overwhelming! 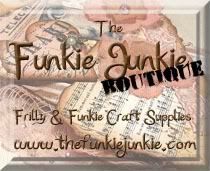 First opportunity available and I was back in the craft room having fun, exploring the first of many possibilities. With the basis of a card made I really needed some special words to bring it all together and make the eventual recipient ponder perhaps. Not only did they add meaning to and otherwise random collection of images, the bold lines also added to balance the finished composition, providing a focal point; it's something I've found in the past - the right words in the right place can really finish off a project perfectly. 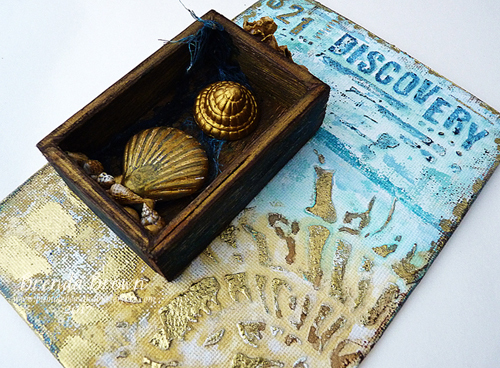 Find out how this all came together and find out more about those delicious Distress Oxides on my blog. I seem to be in a bit of a 'gold' mode at the moment and I guess I'm also looking forward to some warmer weather here in the northern hemisphere. I know I have only used one word on my canvas board, but it is a special word, you can find out why and see more photos and details over at Bumblebees and Butterflies if you have a moment to spare. Now you can't fail to be inspired by all those wonderful projects! We do hope you will join in and show us the words that are special to you by linking your project below. Remember to check the Travelling Instructions to make sure you qualify for the prize draw and Pinworthy badges. Country View Crafts are our sponsor this month and there is a £20 voucher for one lucky winner. What an incredible grouping of art here. Well done all! Beautiful inspiring projects, Ladies! And great theme for February, Jennie! fantastic challenge this time... will get thinking! 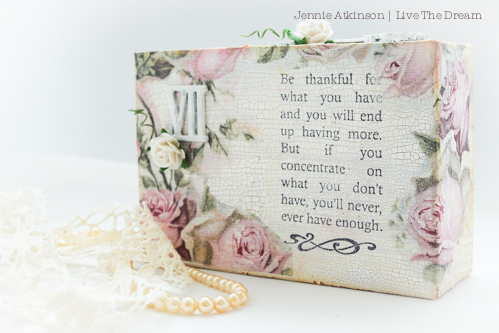 Another challenge, another collection of fabulous projects full of inspiration ladies. Looking forward to doing the rounds later to absorb the detail . What a challenge Jennie...love all the works featured. I love to have quotes,words or phrases in my work too and hope to play along this challenge. Fabulous inspiration as always ladies. Absolutely Amazing "word" mixed media creations by your very talented DT. TFS your creations and detailed steps in your personal blogs :-) Hugs.. Fantastic array of projects, very inspiring! Finally managed to make it round to visit - fabulous work from everyone. Fabulous projects by your design team! Wonderful inspiration from the Creative Guides!!! 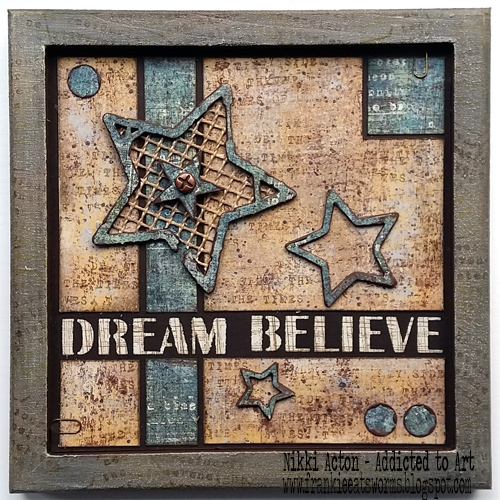 Amazing samples as always so much inspiration, thank you, just linked up haven't played for a while but trying to get my crafting back on track, thanks for the inspiration on this blog.